For many this term refers to a cooked breakfast cereal common in the United Kingdom, Ireland and Scotland that is made from oats. 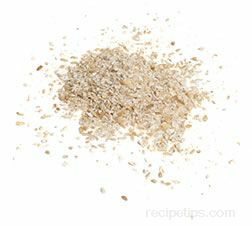 Water is brought to a boil, the oats are added and as the oats cook, a starch is released so the oats soften into a gelatin-like substance that becomes a thick, mushy and creamy textured. This breakfast dish which may also be called "oatmeal" is then topped with sugar, syrup or mollasses and milk poured into the cooked oats. 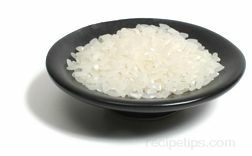 In other countries, there are different types of Porridge made from a variety of dried pulses, vegetables or grains, such as rice for a Porridge referred to as Congee in Asian countries or as Rice Pudding in Scandinavian countries. Other types of Porridge in various countries include British Frumenty made from wheat; Middle Eastern Haleem made from meat and vegetables; Hawaiian Poi made from taro; Russian Grechka or Grechnevaya Kasha made from Buckwheat Groats; Ugandan Matoke made from plantains; Mexican Polenta made from maize (cornmeal); and Tibetan Tsampa made from barley.